Do you know the Baby Shark song? 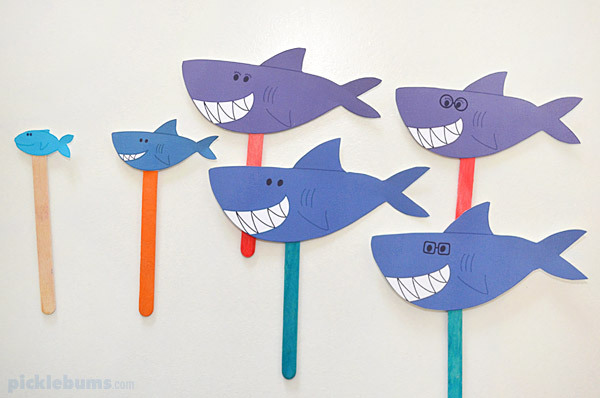 Make these printable shark puppets and sing your own version of the Baby Shark song! 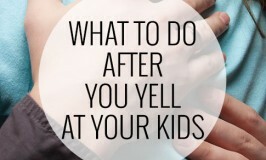 Of course we all know the Baby Shark song, even if some of us are not so fond of it right now! I have really great memories of singing the Baby Shark song when I was a kid, and I’ve had so many requests to make some printable shark puppets, that I just couldn’t resist drawing some sharks! There are quite a few versions of the Baby Shark song out there. I remember singing a quite gory version of the song when I was a kid, that ended with a surfer having his limbs bitten off! But I learned a more kid-friendly versions when I was teaching preschool, and those are the words we sing today. 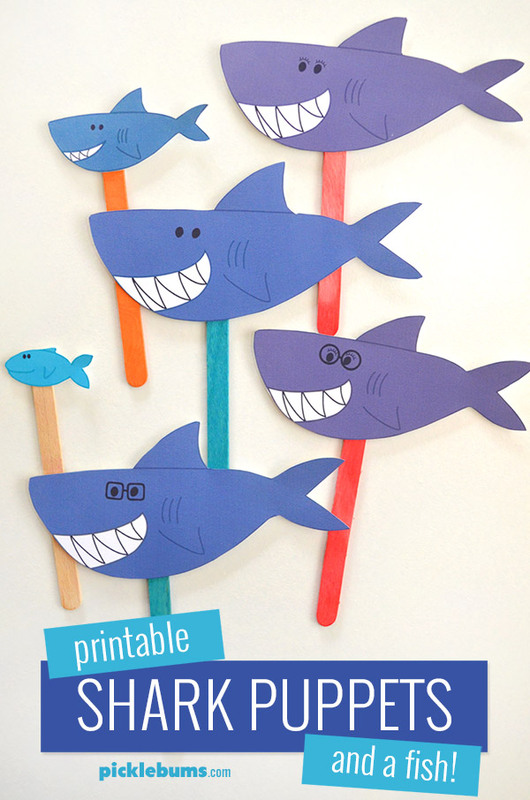 These printable shark puppets are great for singing Shark Songs, or for using with playdough or for imaginative play. They’d be great fun to use during Shark Week too. 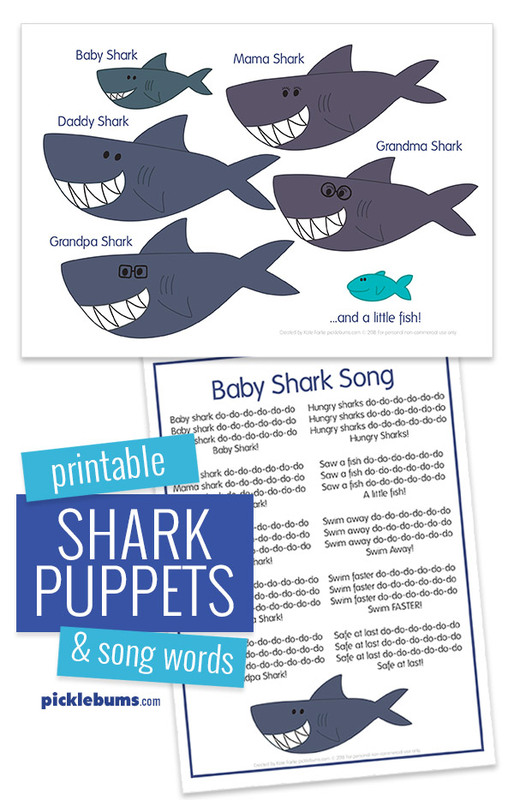 The printable shark puppet set includes baby shark, mamma shark, daddy shark, grandma shark, grandpa shark and a little fish, as well as a printable page with the song words. I use a regular inkjet printer to print all my puppets. We printed our family of friendly sharks (and the little fish!) onto matte photo paper, but you could also use light cardstock, or regular printer paper and laminate the puppets after you have cut them out. We use tape or a glue dot to attach a coloured craft stick to the back of each shark to turn them into puppets. 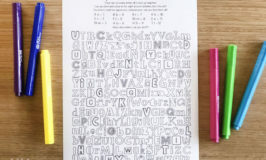 You can also use straws, or bamboo skewers, or leave them without sticks so they can be used in lots of different ways. You can download the printable shark puppets and song words here. Do you love the Baby Shark song or do you hate it? What version of the song do you know? Do you know any other shark songs?? If you are looking for some more fun puppets, you can find all of our printable puppets here. There are monkeys (and a crocodile! ), currant buns, frogs, ducks, monsters and more! Thank you so much . I will use these puppets at story time . Thanks a million! This is the closest I came in finding the correct lurics for the video I have downloaded from YouTube. You´re a star. Hi! Is there any possibility to post the coloring puppets? I’m sorry, there is not a colouring in version at this time, but I may put out some in the future. Thanks for the suggestion.